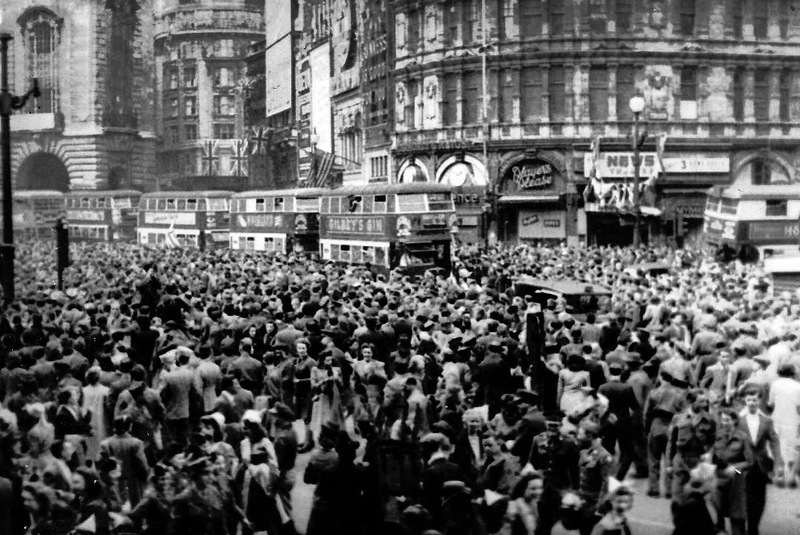 VE Day celebrations in Piccadilly Circus, London, in 1945. It is 70 years today that the II World War in the European theatre was terminated with the unconditional surrender of the beastly Nazi Germany. 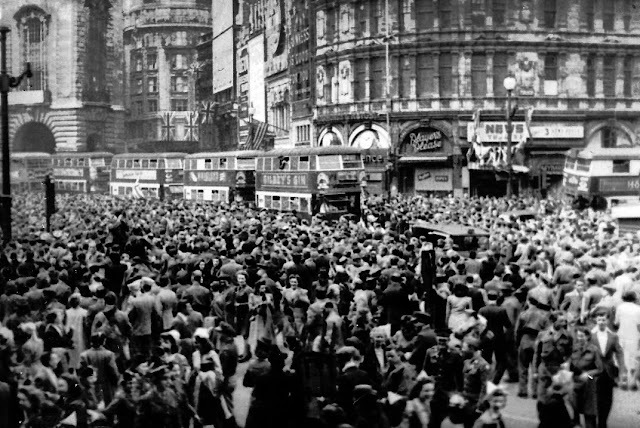 It is VE Day (Victory in Europe Day). Millions died directly or indirectly from the War, including the millions massacred in the concentration camps. It is a day to remember, honour and pray. To remember so that we never do it again. To honour those who valiantly risked and/or gave their lives to save us from hell on earth. To pray for those who perished and for the Lord to protect from any other such apocalyptic event. 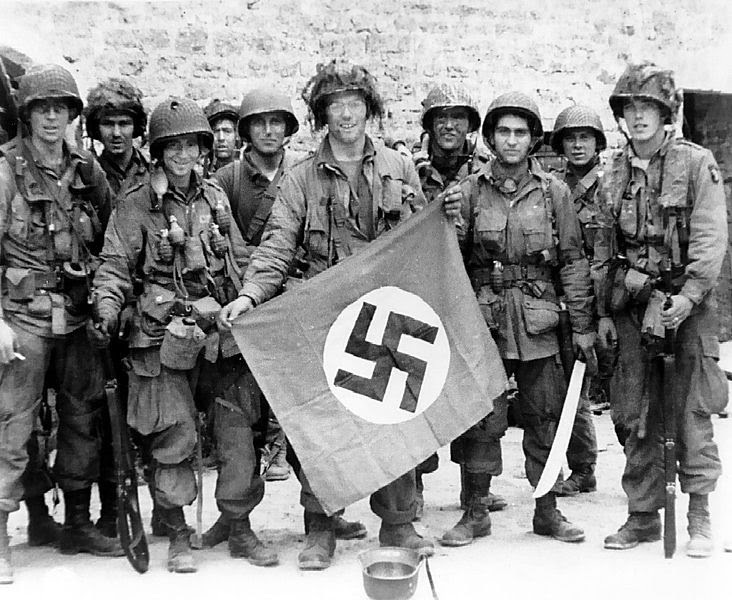 US paratroopers capture a Nazi flag shortly after D Day. It is also a day to fathom the fact that for every beast felled, another one tends to rise. And today’s demons tend to be less openly lethal and brutal, but their covert mischief pushes millions to a life of misery. God bless the brave Allied soldiers, sailors and airmen that fought for all of us in the Second World War. 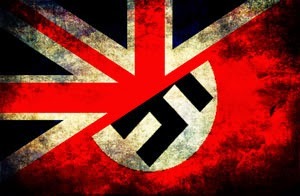 The British flag stifling the III Reich one.